Wild basil (Clinopodium vulgare), native to North America, can be found flowering now in Southwestern Pennsylvania. A member of the mint family, wild basil isn’t closely related to the cultivated basil we find in grocery stores, though it can be used in much the same way. The taste of the fresh plant, in my opinion, is a bit milder than cultivated basil. Right now, I have some drying that I will use later as an herb or tea. Besides adding flavor to your meals, it can increase the quality of your health. 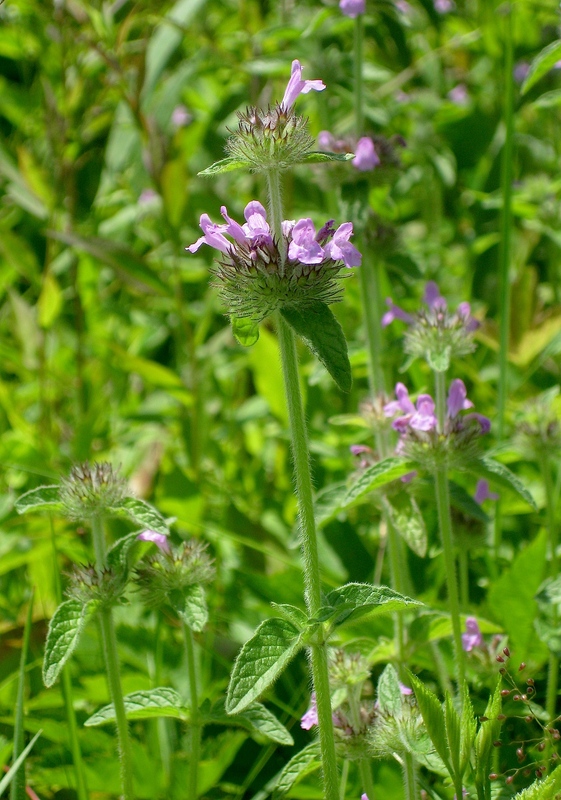 Current research has found that wild basil possesses antibacterial, anti-tumor, and anti-inflammatory properties. This particular specimen was photographed at Doak Field in Raccoon Creek State Park. beautiful picture! I’ll have to try this, thanks!